For most large organizations, the supply chain is a commercial advantage, enabling innovation, cost management and resilience. 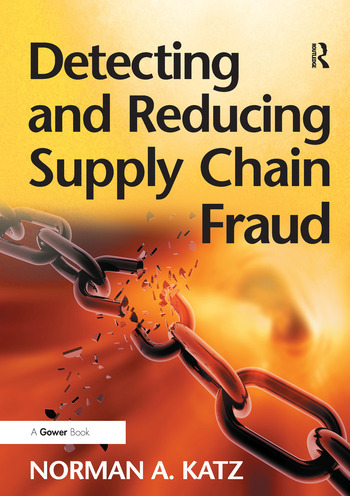 But the supply chain is open to fraud: the length and complexity of it creates opportunities for fraudsters to exploit phantom inventory, invent non-existent customers or suppliers, substitute one product for another, cheat on the quality...this list goes on. These frauds present a significant source of additional cost to the organization and expose it to a host of secondary risks: contract, compliance and reputation. Detecting and Reducing Supply Chain Fraud is a pragmatic guide to identifying and managing sources of risk. Norman A. Katz explains the main categories of fraud risk: what they are, what is their significance and how they are exploited by the fraudster. He also explores both the tactical and strategic approaches that you should adopt to help detect and reduce fraud, including detection techniques and the use of technology. He provides tactics for increasing your organization's resilience: increased transparency, appropriate governance, and engaging employees, customers and suppliers in more ethical work practices. If you are responsible for your organization's supply chain, or perhaps involved in audit, compliance or risk management, start using Detecting and Reducing Supply Chain Fraud and look more closely at every aspect of your supply chain, both internal and external. The savings made in fraud reduction, the increased resilience you will give all of your operations and the improved reputation that your business will enjoy, as a contract partner or amongst stakeholders, will repay your investment a hundred-fold. Norman A. Katz is the founder of Katzscan Inc., a specialized consultancy concerned with supply chain operations and technologies, compliance and fraud. He holds several professional anti-fraud certifications and regularly speaks on the conference circuit and has guest lectured at a number of North American universities.